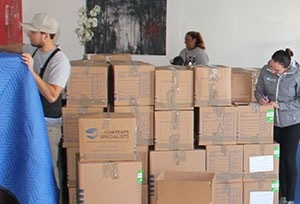 The Contents Specialists properly inventory, package, move and store your belongings to ensure your personal property incurs the minimal amount of damage during your loss. 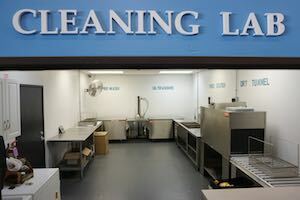 Our Cleaning Specialists are trained and knowledgeable of the various types of content materials and the cleaning procedures appropriate to the environmental influence that affected them. During the damage analysis, home item inventory, pack-out and reset stage of our service; our Inventory Specialists obtain photo documentation, digital inventories and create a TLI (Total Loss Inventory) for your non-salvageable items. Has your property been damaged by a flood, fire, mold or smoke? Do you need the contents of your property professionally inventoried, packed up and stored in a safe and secure facility? We specialize in handling the items inside your home, business or office during the stressful restoration period. Don’t hesitate! Call today!